What is the best way to treat the opioid crisis? David Festinger, professor in the department of psychology at the Philadelphia College of Osteopathic Medicine, looks into some medicinal options. Dr. Festinger holds a Ph.D. in clinical psychology and master’s degrees in counseling and clinical health psychology, and is a licensed clinical psychologist in the Commonwealth of Pennsylvania. Dr. Festinger is a Fellow of the American Psychological Association (APA) and is currently president of APA’s Division 28 (Substance Abuse and Psychopharmacology). 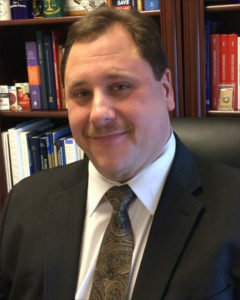 His National Institutes of Health-funded research has focused primarily on empirically isolating the active mechanisms of drug courts, developing empirically based dispositional procedures for offenders with substance use disorders, integrating disease prevention and healthcare into criminal justice programs for substance users, and bringing experimental research methods to bear on major ethical questions and human subject protections involving research participants. The illegal use and misuse of opioids has increased over 60 percent since 2002, leading to a five-fold increase in heroin overdose deaths, and a 3-fold increase in prescription opioid deaths (National Institute on Drug Abuse, 2015). Fortunately, there are a range of effective treatments including medications to manage opioid addiction. The three FDA–approved medications to treat opioid addiction are methadone, buprenorphine, and naltrexone (Dugosh, Abraham, Seymour, McLoyd, Chalk, & Festinger, 2016). Methadone stimulates the opioid receptors in the brain but is slower acting and causes somewhat less euphoria. Buprenorphine stimulates some opioid receptors in the brain but not others, causing less euphoria than heroin and prescription opioids and a reduced potential for overdose. Both of these medications can suppress withdrawal and cravings and be used as a maintenance medication. Naltrexone works by completely blocking opioid receptors. It is available in both an oral formulation that lasts for up to 30 hours and as an injectable that lasts for up to 30 days. During these periods it makes it virtually impossible for an individual to get “high” or overdose on heroin or other opioids. However, individuals must be completely detoxified of opioids before it is administered, or it will cause immediate withdrawal. As such, it is not appropriate for detoxification but is very useful for maintenance. Existing research has shown strong support for medication-assisted treatment; however, less than 40 percent of those who can benefit from this treatment actually receive it.That said, innovative strategies to increase the provision and utilization of these three medications in contexts such as primary care, emergency room settings and the criminal justice system, are currently being explored.